It's a Game 7, one of three tonight in the NHL. What makes this special? 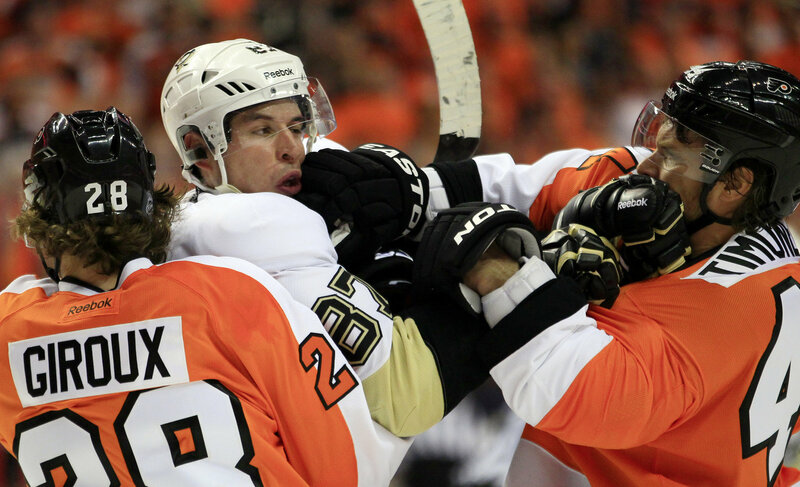 It determines who the Penguins play in second round of the 2014 Stanley Cup Playoffs. Who do you want? Well... it's not that easy. A look at both teams shows some things to be considered about and some things to blow off. 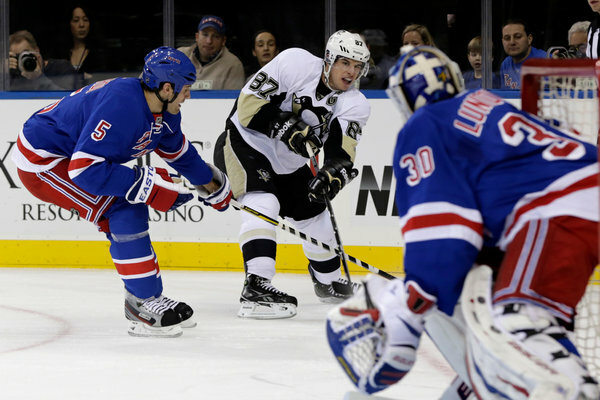 The Penguins are familiar with each team and know what to expect and that may be the problem. A peak at the New York Rangers makes you think they should be better than the are. At 45-31-6 in the regular season they were nothing to sneeze at however stars, even of yesteryear, dot their line up. Rick Nash, Martin St. Louis, Brad Richards, and Henrick Lundqvist are all capable of taking over any game and making things living hell. They are forces to be reckoned with. Including when it comes to the Penguins. A regular season match up record of 2-1-1, the Rangers made games of each match up. Their power play was decent, going 3-16 (18.8%), and their PK was even worse allowing the Penguins to score on near 36% of their chances (5-14). For a team formerly built on defense under previous coach John Tortorella, this is a big change. The best argument for the Rangers over the Flyers? History. All time in the playoffs the Penguins are 5-0, winning match ups in 1989, 1991, 1992, 1996, and 2008. As for the ugly brother to the east? Well... the Flyers... on paper they are not something to worry about. They have no game breakers, a below average goaltender, a back up more scarier with fists than with gloves, a baton stealer who couldn't find his footing throughout most of the regular season, a bunch of ugly gingers. Just really an ugly... ugly team. Their ugliness cannot be emphasized enough here, people. It's a team that should not be a test for the Penguins. It's an awkward mishmash of youth and age that have no real shot at winning anything of note. However the grating style at which they play seems to throw the superior Penguins off of their game. Every time. And it showed in the regular season. A Flyers team that was 42-30-10 went 4-1 agains the Penguins and special teams were the driving force. The Flyers power play went 6-15, an astonishing 40% click rate. The PK was just as dominating in only allowing one goal on 21 Penguins power plays, an eye popping 4.7%. Given the Penguins dicey special teams this post season this is concerning. The reason to pull for the Flyers? They're not imposing. They're not even paper giants. They have "stars" but no one who truly registers as a star. Claude Giroux is as close as they get. Team to team the Penguins have the edge. As long as they don't let the ugly orange and black leak into their brain stems. Play smart, win easy for the Penguins in the second round. The long and short of it? The Penguins will have a test either way. This isn't an easy go like the Ottawa Senators last year. The Pens will need to be better in this round. In what way is what remains to be seen. Playing better as a team or playing smarter as a team are the answers. Which way it goes we find out tonight. In the mean time I won't shed any tears if the two teams beat each other up.